Exclusive premiere of Brendan McCreary’s song from the soundtrack of THE BOY. Here at SHOCK, we’re big fans of composer Bear McCreary; not just for his work on AMC’s THE WALKING DEAD but for his music in a myriad motion pictures, including the recent creeper THE FOREST (arguably, his sound was that film’s greatest asset). His compositions in director William Brent Bell’s haunted doll movie THE BOY (opening this Friday in select theaters and originally known as THE INHABITANT) is no exception. But outside of of McCreary’s music, THE BOY boasts original songs by his brother and frequent collaborator Brendan McCreary. So, dim the lights and groove on the haunting, industrial-tinged song “In My Dream” , with vocals by Fyfe Monroe. 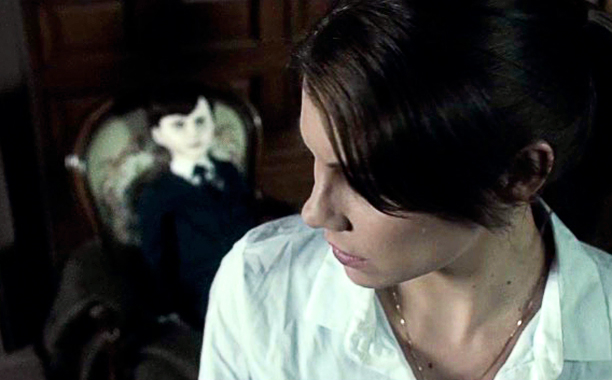 THE BOY is a new psychological thriller film from Lakeshore and STX Entertainment where Lauren Cohan (THE WALKING DEAD) plays Greta, an American nanny who comes to a work for an English family, only to discover that their son Brahms is a life-sized porcelain doll. When Greta violates a list of strict rules, a series of disturbing and inexplicable events bring her worst fears to life, leading her to believe that the doll is alive. STX Entertainment and Lakeshore Entertainment present THE BOY, in theaters on January 22, 2015. Lakeshore Records will release “THE BOY – Original Motion Picture” soundtrack on January 22nd and on CD shortly thereafter.